Orville Wright, along with his brother Wilbur, launched into both history books and legend with the first ever manned powered flight. This feat was accomplished through a lifetime's work and commitment. The historic flight was the fruit of their unending devotion the pursuit of their goals. 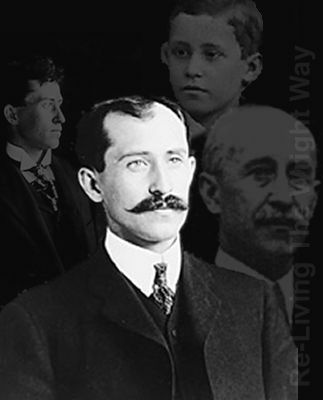 Orville Wright was born on August 19 , 1871 on 7 Hawthorn Street in Dayton, Ohio. He was the fourth child of Bishop Milton Wright and Susan Catharine Wright. Orville grew up in an atmosphere that was loving, and that nurtured all types of expression. 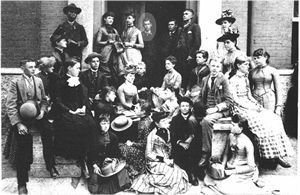 Orville wrote of his childhood: "We were lucky enough to grow up in an environment where there was always much encouragement to children to pursue intellectual interests; to investigate whatever aroused curiosity(ref)." The two libraries in the Wright house were especially encouraging of academic pursuits. Orville was the more mischievous of the two brothers, had a healthy childhood, and wasn't inclined to excessive study. 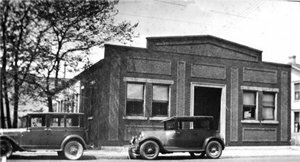 He was also "a champion bicyclist and so the brothers went into the bicycle business, which gave full vent to their mechanical aptitude (ref)." Orville's Class of 1890 photograph, and a closeup of Orville as a high school student. His adventurous nature and drive to succeed combined with his brother Wilbur's research skills to achieve what is considered by many to be the greatest, most influential accomplishment of the 20th century. Their feat changed the way we live our lives, the way we see the world and "revolutionized both peace and war(ref)." Following Wilbur's death in 1912, Orville carried their legacy alone towards an exciting future. However, the hot new arena of aviation business proved volatile, and Orville sold the Wright company in 1916 (ref). He built himself an aeronautics laboratory, and returned to what had made he and his brother so famous: inventing. 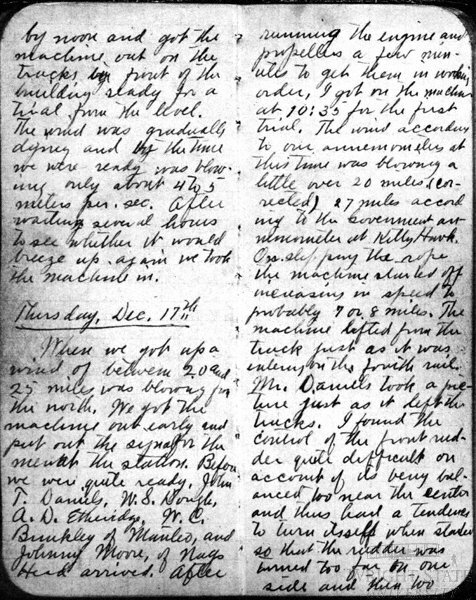 He also stayed active in the public eye, promoting aeronautics, inventing, and the historic first flight that he made. Above is a photograph of founding members of NACA (National Advisory Committee for Aeronautics) at Committee meeting in 1929. 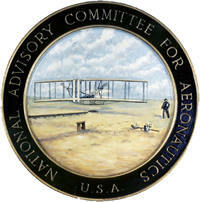 Dr. Orville Wright served on NACA for 28 years. NASA (National Aeronautics and Space Agency) was created from the National Advisory Committee on Aeronautics in 1958. April 29, 1936: Orville Wright was elected a member of the National Academy of Sciences. 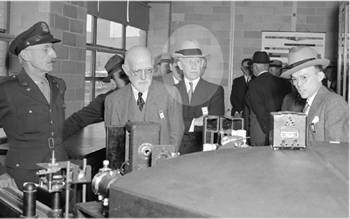 Orville Wright, along with others, visiting the Aircraft Engine Research Laboratory in Cleveland, Ohio, now known as John H. Glenn Research Center at Lewis Field, on dedication day. 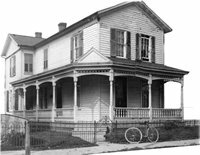 The place Orville called home from 1914 until his death: Hawthorn Hill in Oakwood, Ohio. He and Wilbur planned the design of the house together, but Wilbur passed away before its completion. January 30 1948: Orville Wright died in Dayton, Ohio, at the age of 76, thus ending his 28 years as a member of the NACA. NASA was created from NACA 10 years after Orville's death. In his lifetime, the speed of the airplane had been increased from 0 mph to almost 1,000 mph. Orville's Home at Hawthorn Hill still stands as a tourist attraction today.